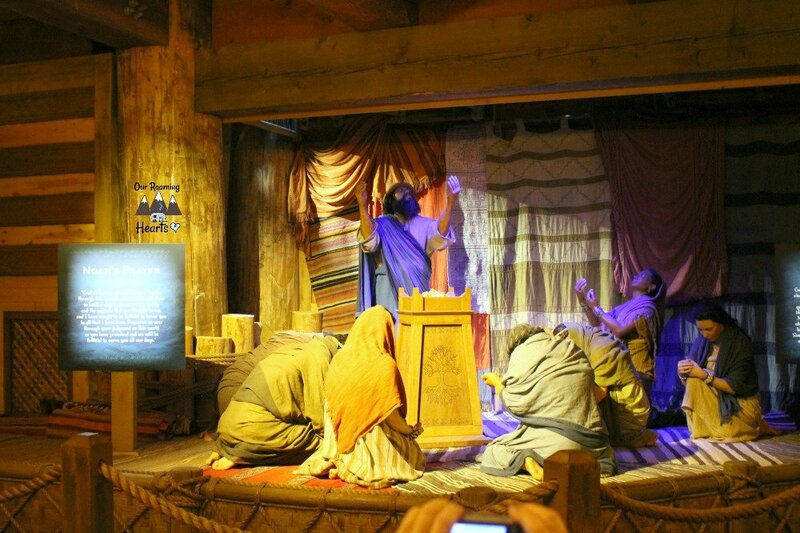 Noah’s Ark Encounter Kentucky is a great family attraction that is located in Williamstown, Kentucky. 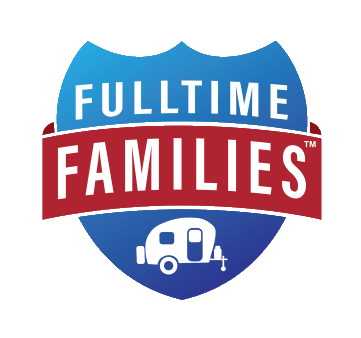 When my family visited it, we were on a road trip from Tennessee to Ohio and it was a perfect mid-way point for stopping for a night and doing an educational and fun activity together on the trip. 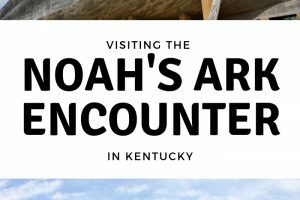 If you are a homeschooling family, Noah’s Ark Encounter Kentucky is a wonderful place to work in some hands-on education and I think you will be surprised at how much there is to take in. 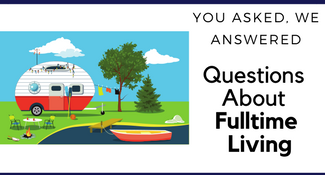 We did not plan for there to be as much information and exhibits as there were and so one piece of advice I would give is to plan to have several hours to spend so that you can truly see all of it and enjoy yourself. Williamstown Kentucky is a small place and if you plan to stay there, there are a couple of hotels within about 15 to 25 minutes from the Ark Encounter, but none that we found right by it. If you look up Williamstown and the Ark for hotel searches, you’ll see a couple of options nearby but don’t be alarmed that there’s none in the same town, as it is not a big tourist-type of an area. That being said, I loved that about the visit. If it weren’t for the signs when you get off the exit you might feel like you are in the wrong place as there isn’t much around. 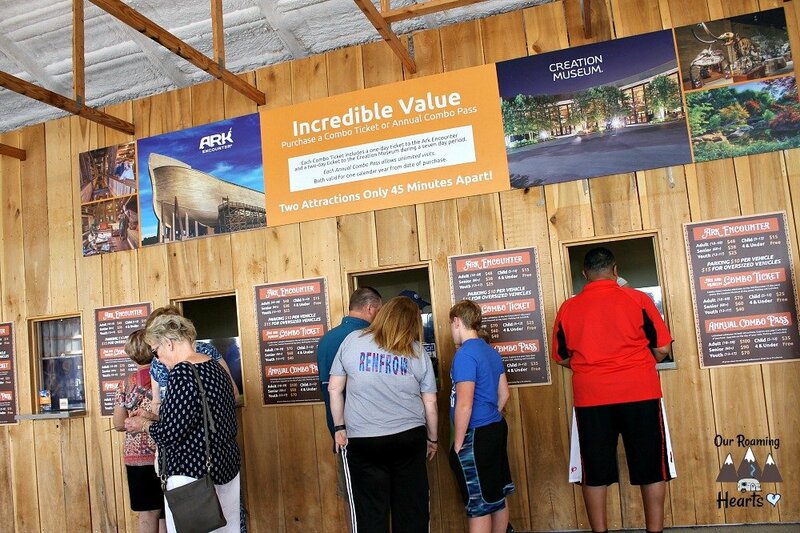 You can’t miss the Ark Encounter though with the huge signs! 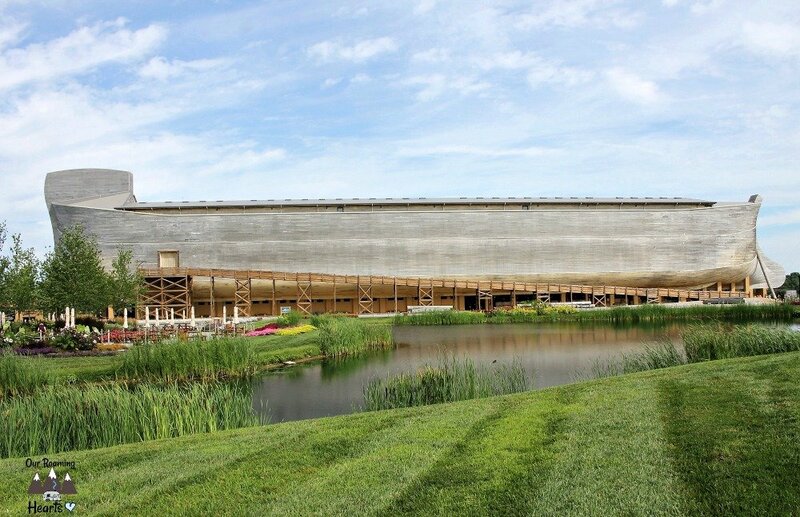 One thing that is really fun about the way it is set up is that the Ark itself is not near the parking lot or the entrance, so there is no just driving by to get a look at it. They have done a great job at building up the suspense for you and also prevented extra traffic at the same time. 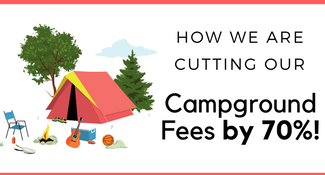 When you get there, they do charge for parking, but you can pay for it along with the entrance tickets, or at the very end, and they don’t require you to pay at the time you arrive. I do feel like they charge plenty to get into the attraction and it bothers me that you have to pay for parking, but it is what it is. 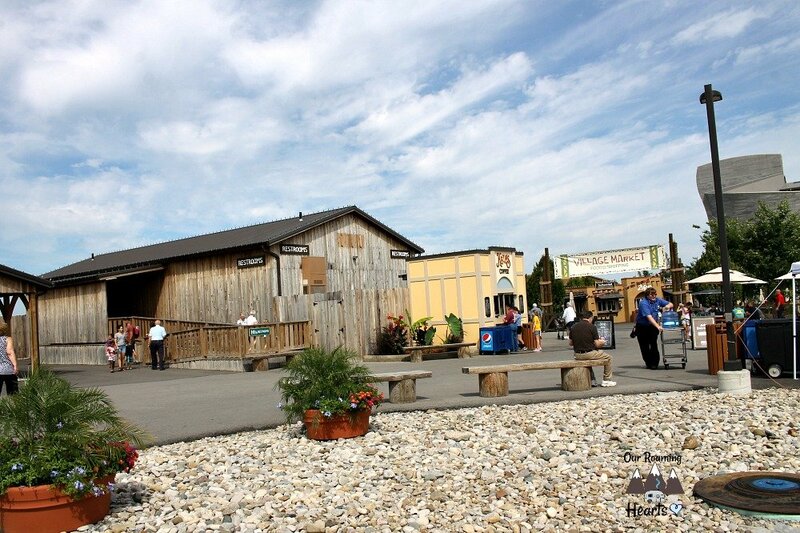 There are porta-potties at the ticketing booths, but don’t be alarmed by this, as once you get over to the ark there are nice bathrooms. I was glad I waited. 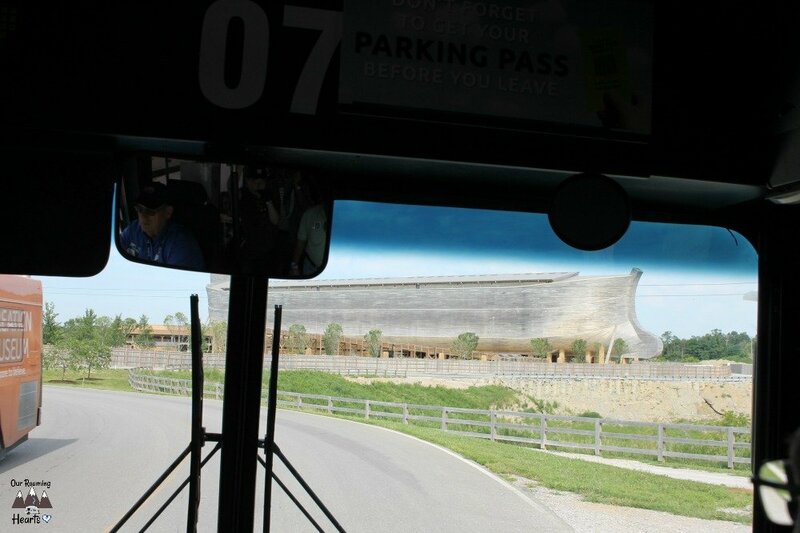 So, once you pay for tickets they have you get in line and board a bus over to the ark. 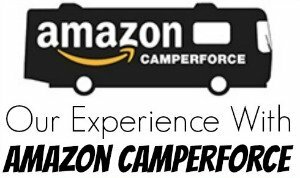 The buses are very nice and it’s just a short little drive that takes you deeper into the property and thus the build-up to start seeing better views of the ark on the drive. The attraction area is quite large, and they are adding more things to it as well. There is a fun little village area that has multiple food vendors, from meal type foods to snacks like popcorn and slushies. There is also a small stage there where they do animal shows as well. I would recommend fitting one of these in, the trainers are very nice, and they bring the animals around to the crowd, allowing time for photos and for petting them. They also have a zoo area with camel and donkey rides and a petting zoo. 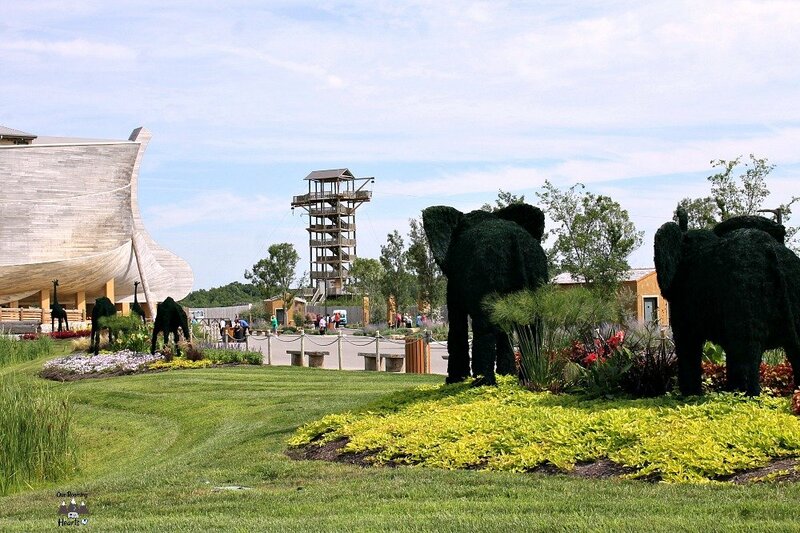 There is a larger restaurant by the ark and then they also have an aerial park with a zip line. This is an extra cost, but it looked really neat! It is 510 feet long, 85 feet wide and 51 feet high. 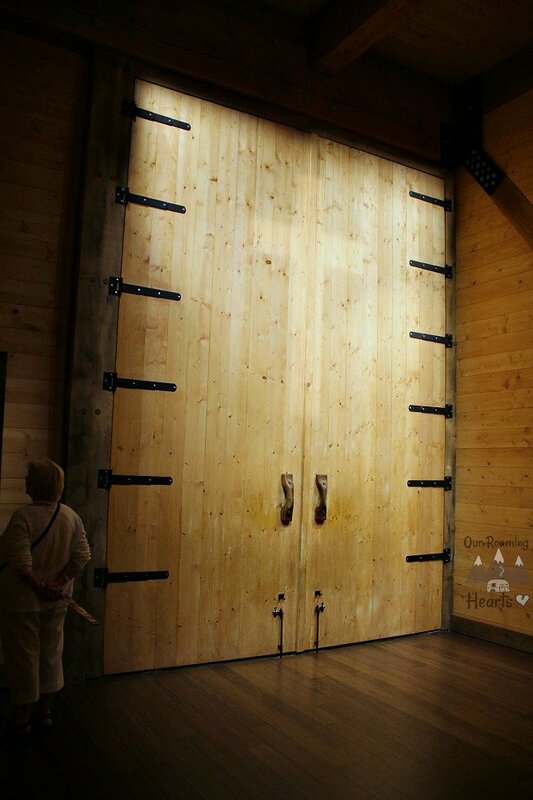 It has 3.3 million board feet of timber and is the largest timber-frame structure in the world. It is made of a variety of woods – Engelmann Spruce, Douglas Fir, Pine & Bamboo. They have done such a fantastic job on the woodwork all over the entire attraction. We noticed that immediately. 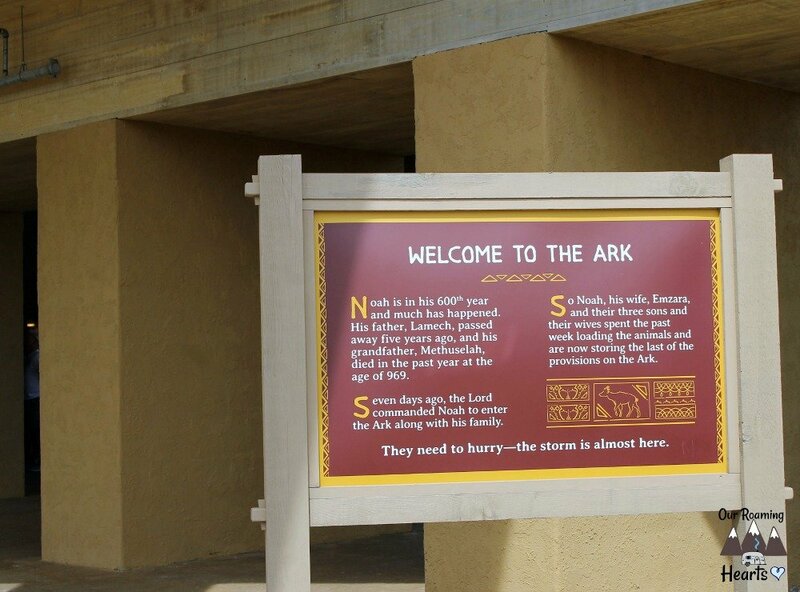 When you are walking into the ark, you go around and under it, and then where you are walking in, they show a video that is sped up showing the ark being built. I recommend watching at least part of it, it is incredible to see the work that went in like this, before you walk inside of it. The walk up to it is beautiful as well. They have put in lovely plants and topiaries of animal pairs and it is very picturesque. There is a lot of Biblical trivia all over the place. They have so many neat pieces of artwork and information from one end of the ark to the other. 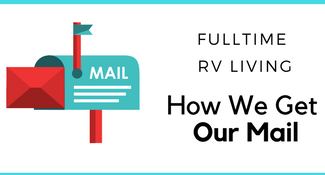 If you aren’t very familiar with the story, you can easily become familiar here. 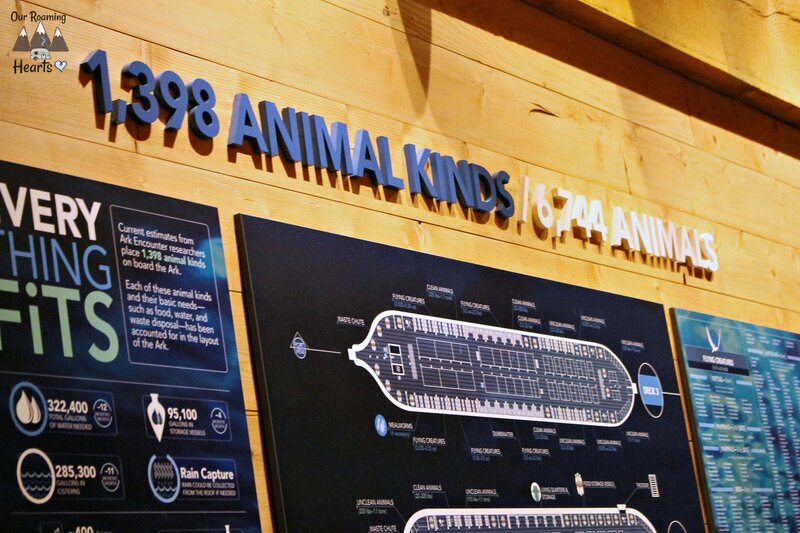 Noah’s Ark Encounter Kentucky is set up with themes on each floor – One is all about the Flood beginning and it has a lot of how the ark may have been set up for storage and much information on the animals themselves. It is really well done. They have quite a few animal exhibits and some animals that are “caged” and now extinct, that you can see. It gives you a great picture of things. The next floor is all about technology on the ark and there are several exhibits on this floor too. There is a theatre, the ark door, which is really neat to see, and lots more. Then the last floor has a ton of Biblical information, and one of the best parts, the living quarters, with the people in them, so you can get a grasp of how they could’ve made things work while in there. 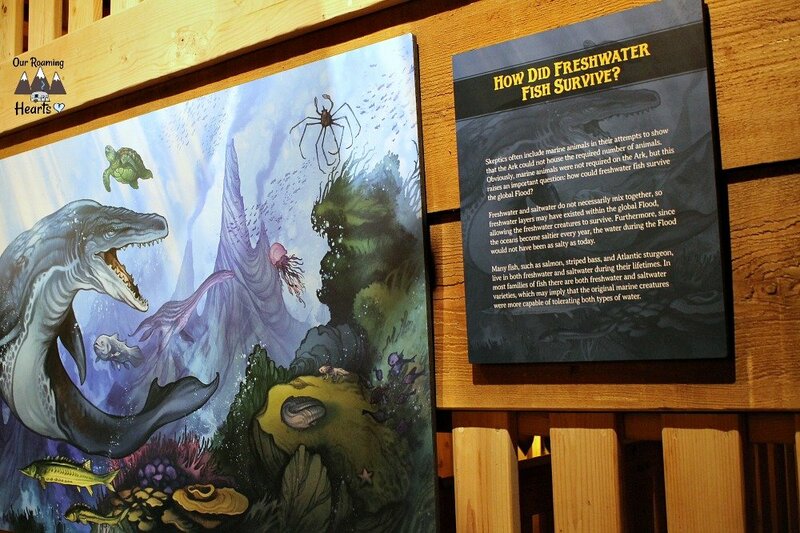 There is also a great exhibit on the Creation and Flood story with artwork to walk through as well as a theatre. They have a neat area for kids to explore, a section on the Rainbow with a great sculpture, and one on Floods themselves and not just this particular one. There is also a large history timeline near the end that was very impressive. At the ground level, they have a huge gift shop. I was very impressed with how much merchandise they sell, from the typical t-shirts and posters to tons of books, cute umbrellas – How cute, I know… and then a large section of handmade goods from all over the world. There is a great variety of price ranges on it all and everyone can easily find something neat. They do have a coffee and fudge spot there too. Overall, the entire thing was very entertaining and educational. We felt going in that we were spending maybe a bit too much money, but once we saw the number of things to do and see, we no longer felt that way. 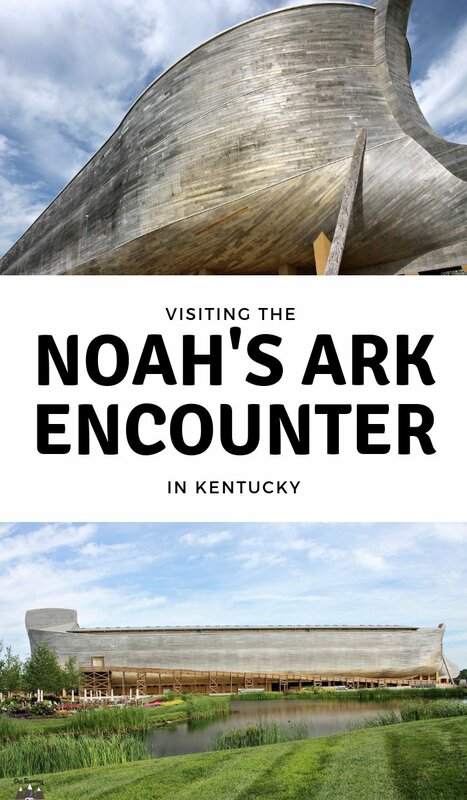 They do also partner with the Creation Museum, which is about 45 minutes from Noah’s Ark Encounter Kentucky and they offer a combo ticket that saves some money for you.